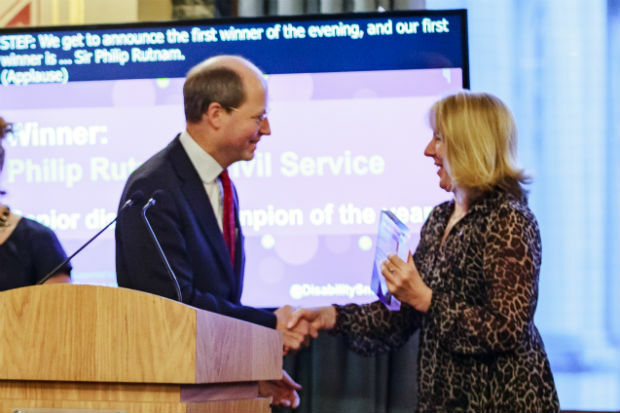 Blog posted by: Sir Philip Rutnam, Home Office Permanent Secretary, and Civil Service Disability Champion, 18 December 2018 – Categories: A great place to work, Civil Service Leaders, Diversity and inclusion. Before many of us take our Christmas and New Year break, I would like to look back and give you an update on what has happened in the disability space in recent months. As regular blog readers will be aware, investing in disabled talent is one of my priorities as Disability Champion. I am therefore delighted to report that, on 3 December, we launched our second PurpleSpace Bursary Scheme, funded by Equal Approach. It is aimed at talented and aspiring Disability Network Leaders and provides access to a mentor and Purple Space learning resources to develop leadership skills. This year’s scheme attracted an exceptionally high number of applicants and I extend my congratulations to the successful candidates who secured a place against strong competition. Happy 18th birthday, Civil Service Disability Network! This year, the Civil Service Disability Network (CSDN) passed a significant milestone of 18 years since its inception. 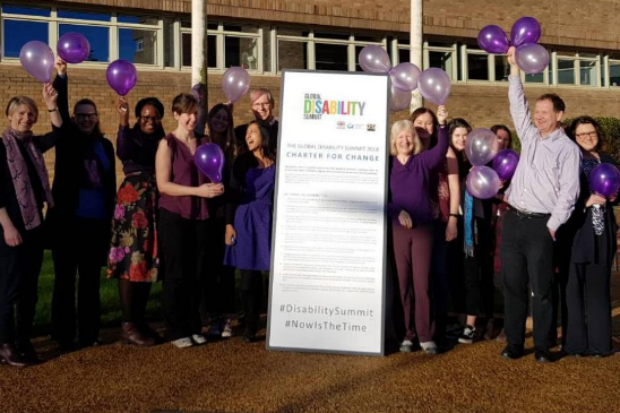 The network has done sterling work in actively promoting disability inclusion and connecting different disability networks across the Civil Service. Membership in August comprised 88 representatives, covering 46 departments and agencies. It is also represented on my Disability Expert Advisory Panel and Disability Champions Group, to ensure a strong employee voice. Find out more about the Civil Service Disability Network on their blog page. Personal disability stories can be a powerful way of highlighting the talents and skills that disabled colleagues possess and which can sometimes be overlooked. In September, 10 of my Permanent Secretary, Director General, and Disability Champion colleagues and I participated in a speed-networking event. Six disabled colleagues from different departments, of different grades, shared their insights and experiences. The event concluded with each of us making a personal pledge to undertake a specific action, based on what we had learned. The event was fast-paced and a great way of increasing individual understanding of the challenges faced by disabled staff and of the skills they can bring to an organisation, if allowed to flourish. In October, I was delighted to give an opening video message to our latest joint Civil Service and KPMG event, focusing on neurodiversity, including autism, dyslexia, dyspraxia, and ADHD. Participants had the opportunity to hear from neurodivergent colleagues in both organisations about their experiences, and the skills that their different brains afford them. Key speakers included Sarah Newton, Minister for Disabled People, Health and Work, and Professor Amanda Kirby, University of South Wales, CEO of Do-IT Solutions Ltd. Feedback from those attending has been very positive, with plans to run a further joint event next year on the theme of supporting colleagues with chronic and fluctuating health conditions such as cancer and MS. In November, I attended the Diverse Leadership Taskforce, which meets to oversee progress on increasing the representation of disability and ethnic diversity within the Senior Civil Service. We had an interesting discussion on inclusive recruitment, improving the Civil Service brand as an inclusive employer, and progress made by my own department (Home Office). Monday 3 December was International Day of Persons with Disabilities. It was great to see many departments and agencies marking this by participating in the PurpleLightUp movement, which has gone global following its launch last year. The Department for International Development celebrated International Day of Persons with Disabilities. Offices around the world flew purple flags, held events and dressed in purple; including Kenya, Uganda, Zimbabwe, Bangladesh, Pakistan, Afghanistan, and Jordan. DFID also launched a new Disability Inclusion strategy to mainstream disability inclusion across all its work. Did you or your organisation get involved? If so, please tell us about it, attaching photos, by emailing the Disability Inclusion Team at disability.inclusion@cabinetoffice.gov.uk. I will look to publish details of your activities and great pictures in an upcoming blog in the New Year. During the week of International Day for Persons with Disabilities, the Civil Service Disability Inclusion Team ran a mini internal communications campaign across department and organisation intranets. The campaign was based on 5 small challenges to build your disability confident knowledge, one for each day. Specific challenges included making a commitment to complete the Becoming Disability Confident learning, checking that your diversity data is up to date, reading a Personal Disability Stories blog, and checking on the wellbeing of a colleague by asking how they are feeling. Please do add a comment to tell me what you learnt over the week. For those who were unable to participate, I have repeated the 5 Day Challenge in the box below. Why not have a go? It’s not too late to complete the challenges. Complete, or agree a date to complete, the Becoming Disability Confident e-learning. If you have already completed the learning, ask your colleagues or manager if they’ve completed it or share what you learnt with your team! Check your diversity data is up to date on your HR system. Are you a line manager? Lead by example: complete your data and encourage your team to check that their data is up to date. Have a look at the updated Workplace Adjustment Passport, and familiarise yourself with the workplace adjustment process and help available. Ask someone how they are today or start a conversation about Mental Health. Bonus: Find out who is a Mental Health First Aider or equivalent in your business area. I hope that you are able to take some time to relax over the Christmas break, and I wish you all the best for the New Year. Finally, at the end of November, I was deeply honoured to win the Business Disability Forum’s Disability Smart award for Senior Disability Champion of the Year. The award acknowledges the fantastic work that is being done to improve disability inclusion across the Civil Service by disabled colleagues, disability allies, networks and champions. There is still much more to do and I look forward to continuing our work in 2019. Blog posted by: Andrew Cullinane, 11 March 2019 – Categories: A Brilliant Civil Service, A great place to work.